It's not often that we have such consistently snowy weather, even in Buckinghamshire, and so it should be welcomed as part of life's rich tapestry, a vagary of nature and an experience in its own right but I'm heartily sick of snow. We've seen it now, everyone (apart from Paul) has had a couple of 'days off' and the wonder of it has passed. Bring on the spring. Because of the snow I've not managed to get out of the house for days. I mean, I can stomp around the garden and playing field but I don't want to drive anywhere, so various small essential trips haven't been made. Kittens are now overdue for their booster vaccinations. Also, I need to get the cats organised for passports as soon as possible or the inability to travel will cause problems all year. I need replacement pot plant compost because certain kittens have taken out many windowsill plants in the three weeks they've been here. This is one of the reasons I need to get more seed raising equipment. I need something that's proof against a whirling maelstrom of brawling baby cats. 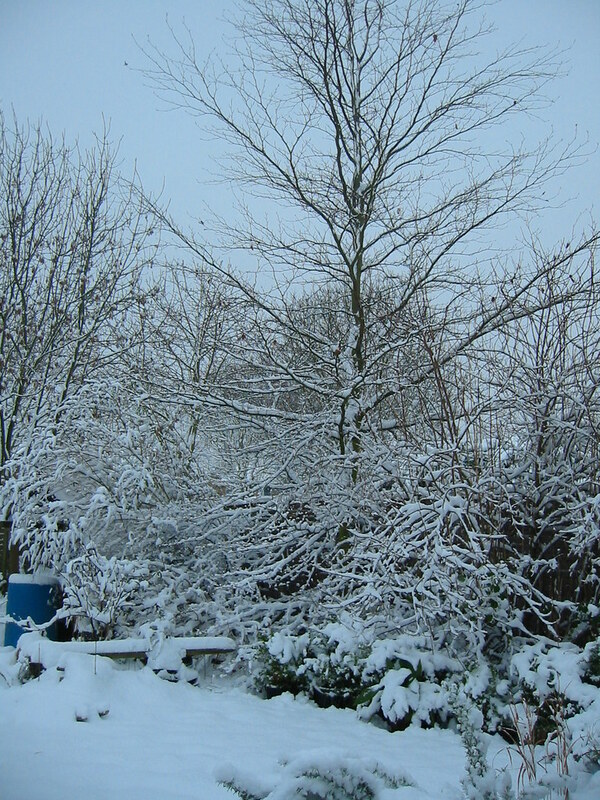 Because of the issues to do with snow, seeds and cats my plans for early starts on the onions and some greenhouse tomatoes are falling by the wayside and it's that sort of bad beginning that can ruin a whole year of gardening. So I'm hating the snow. Wake me up when it's gone. Ron - at least, he is under suspicion - scratched all the earth out of my hyacinth pot this week. Kitten soup for dinner. Naughty Ron. We frighten ours by suggesting they'll be going in the kitten grinder, but I'm not sure the coffee would be improved by it. i love the snow - its all melted down here now and we just have ice which is less fun.